Noun: refugee; plural noun: refugees; a person or persons who have been forced to leave their country in order to escape war, persecution, or natural disaster. “Tens of thousands of refugees fled their homes”. According to the UN Refugee Agency there are 65.3 million people worldwide that have been forcibly displaced: fleeing from ethnic, religious, political, economic or social unrest. I remember as a child watching news stories in England about refugees jumping on the Euro tunnel to flee from harm and towards a more peaceful, hopeful life. I wondered how bad their lives must have been to make them uproot their entire family, often not even having enough time to pack a suitcase or say goodbye to their friends. What must they be thinking, how must they be feeling? Today on the news there are daily cases of people all over the world taking enormous risks in search of a better life. 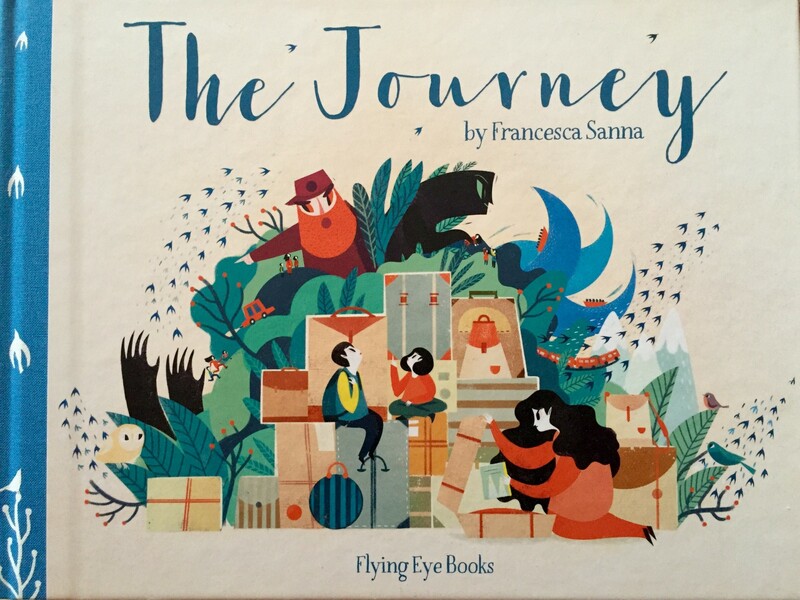 In the book, The Journey, Francesca Sanna highlights one such journey from the perspective of a child. It is an intensely beautiful book that will shake you to your core and leave you with more questions than answers after you finish. The young girl narrates the story. It begins when she remembers how her life used to be, before the war. She lived by the sea and often visited the beach. Then the war came. It came for her father and enveloped her family in fear, sadness and uncertainty. Her mother decides to leave and what follows is a journey where her family is plummeted into uncertainty and constant danger. The family leaves under the cover of darkness, so as not to be seen and they keep moving until they finally reach the border. This is just the beginning of their troubles as there they have to run from the guards. This book evokes all sorts of emotion; empathy for those who are fleeing their countries in search of a safer place for their families; anger; unrest and sadness. Even at the end of the book, while the girl seems to be in a safer place, her family is still moving and they have not found their home. While in transition, the girl feels her life is in constant flux and she yearns for a new home, like the birds who cross borders freely; a place where her story can start again. 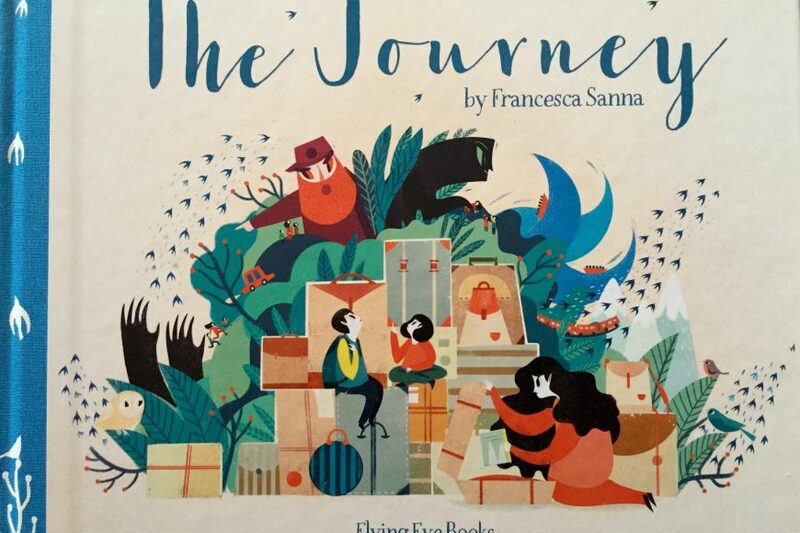 Author and illustrator Francesca Sanna has gracefully and delicately woven a story of those who flee. Her illustrations juxtapose light and darkness to personify emotions- the girl’s idyllic homeland in pink pastels succumbing to the ravaging black hands of war leaving only remnants of her father’s memories. Something else noteworthy in the book is the unrelenting bond of family. When the family is reduced to three instead of four, the mother uses her knowledge, wit and tact to move her children to a more safe location. There is that solace that despite all of the horrific things she has seen, the three of them are at least together. I highly recommend this book. It is a great read for elementary aged children and a visual feast on a subject that warrants our attention.